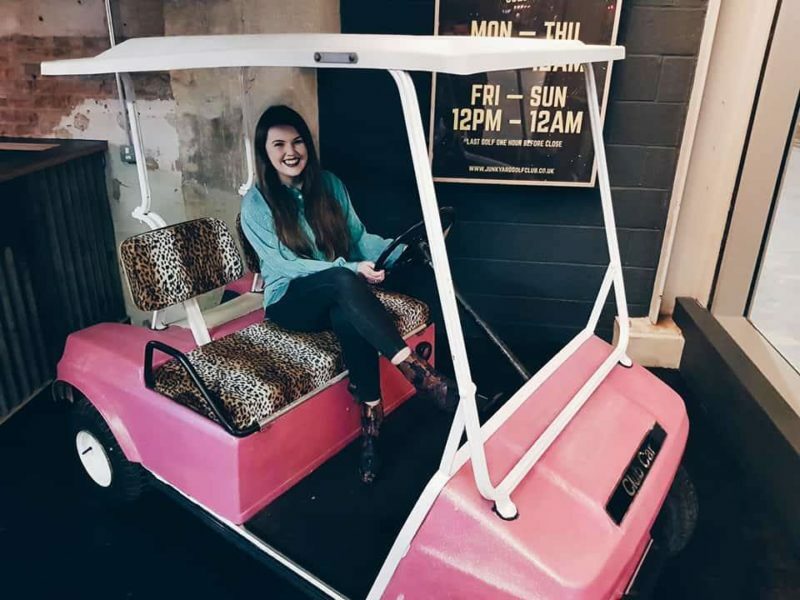 I have to admit, when we discovered Junkyard Golf Club Oxford while exploring the shiny new Westgate one day, I knew I had to go. 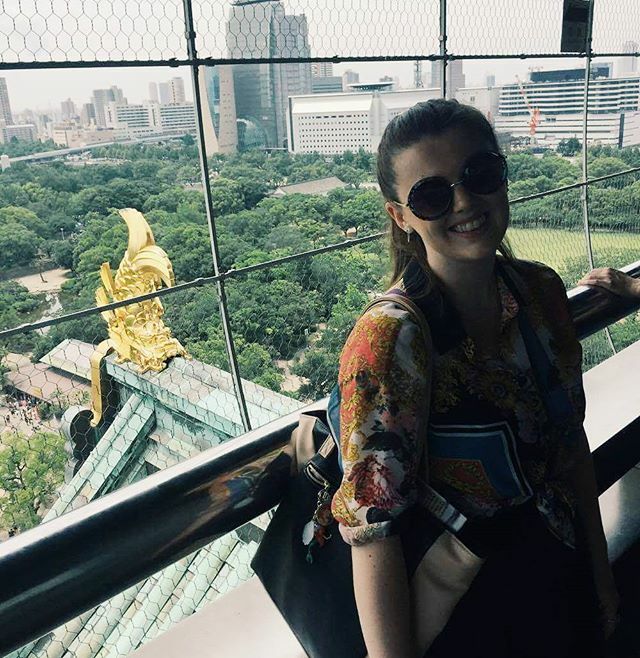 I’m a sucker for a unique experience. 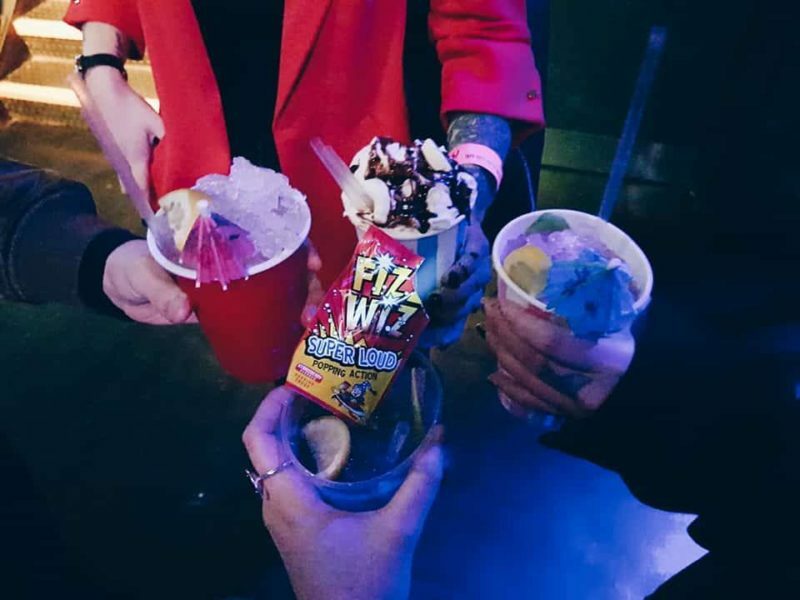 The whole concept is a little bit fabulous, play crazy golf in central Oxford and have a few quirky cocktails in some American-esque red party cups on route – quite simply, what’s not to love? Myself and my partner made our way to the venue where we were greeted with a photo oppurtunity pink golf cart, boothed seating and the main Bunker bar. 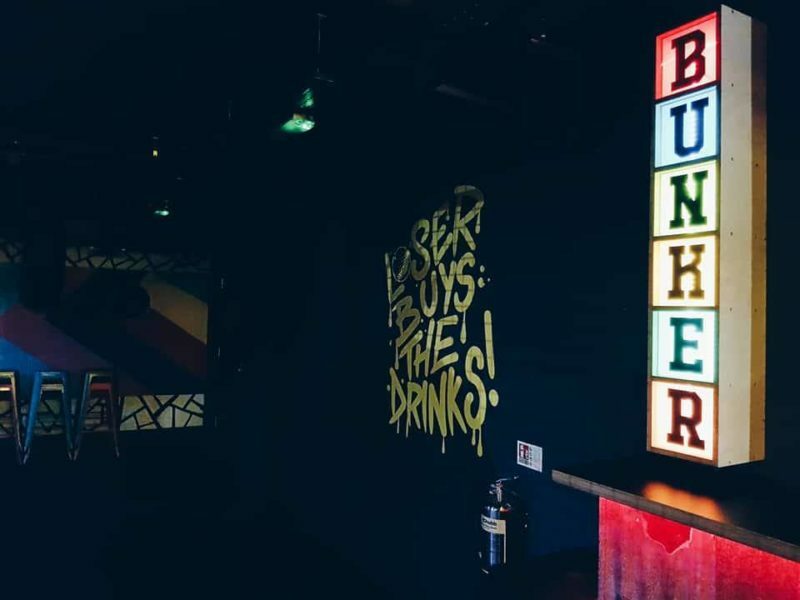 Once checked in, we sauntered over to Bunker with two of my lovely girl friends now in tow and fussed over what to order. I treated myself to a Hotline Ting – mainly because it had bubblegum flavours and I am a giant child. I must admit, these cocktails kind of remind me of all your favourite childhood flavours, garnishished with beloved sweets and dashed with alcohol. It’s almost slightly unethical when I think about it but who cares, it was delicious. 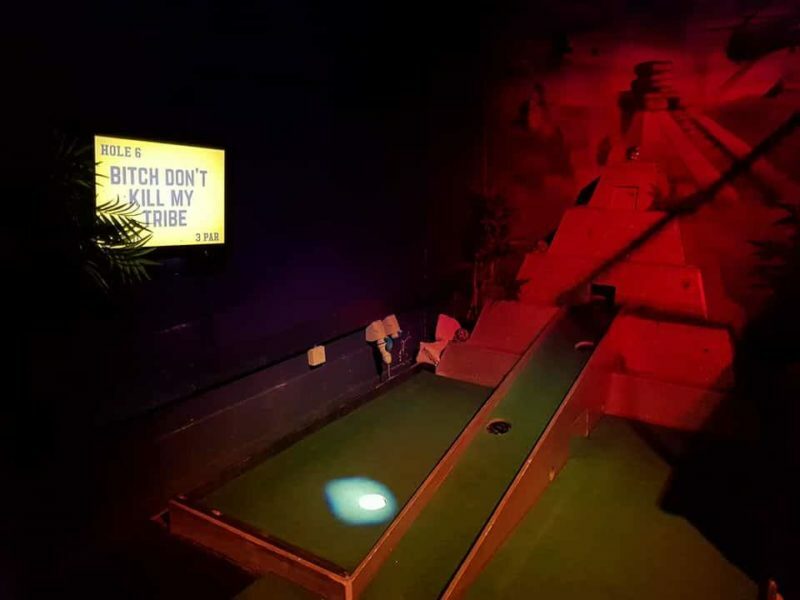 Cocktails aside, Junkyard Golf Club Oxford presents three crazy golf courses to play, each with nine pretty peculiar holes. Expect bright lights, great music and some creative decor. You will either discover Pablo, Gary or Bozo when you go to play – or all three if you are super commited! Pablo has a pretty consistent jungle theme with animals galore and some odditys thrown into the mix, whereas Gary is a car fanatics junkyard with enough scrap to create a shelter. Finally, Bozo takes you to a circus almost as creepy and downright strange as the one in Silent Hill 2. So, a nice variety is certainly on offer. 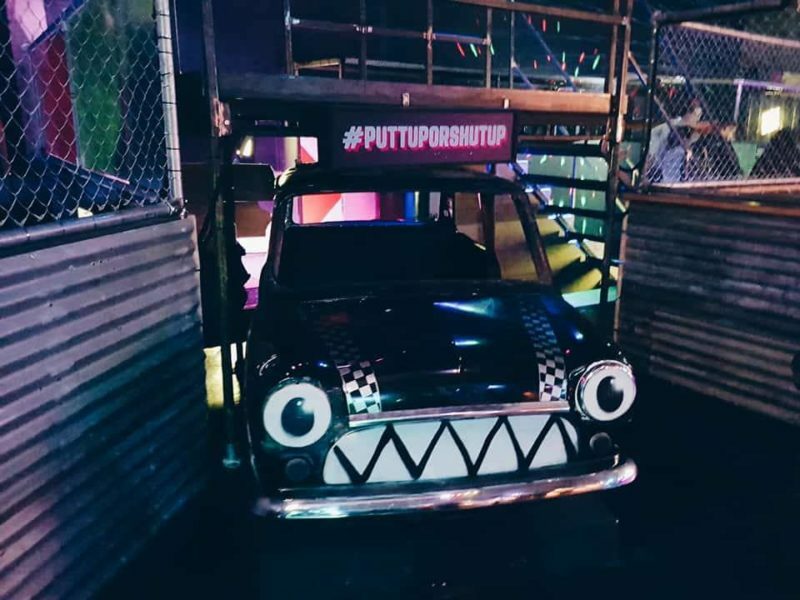 So, what do I think of Junkyard Golf Club Oxford? We decided on the jungle themed Pablo, informed it was the slightly longer of the three courses. Each course operates on a one way system with each group going in turn. Even though it was busy, we never had to wait too long for the next hole, if at all. Saying this, when you do visit, it is probably far better to go as a slightly larger team, as you will find the game lasts that little bit longer. There’s even a pit stop bar for cocktails if you fancy another sweet and satisfying drink along the way. All in all, the entire experience is great, it is truly something different and much needed on the often traditional Oxford scene. 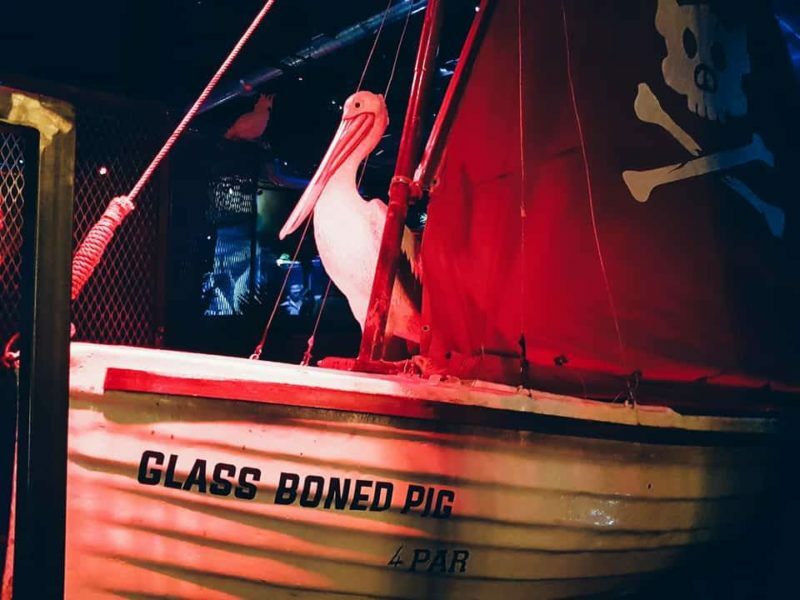 Junkyard Golf Club Oxford is super fun and well-themed – even if that theme is animals-meets-industrial-meets-circus madness. 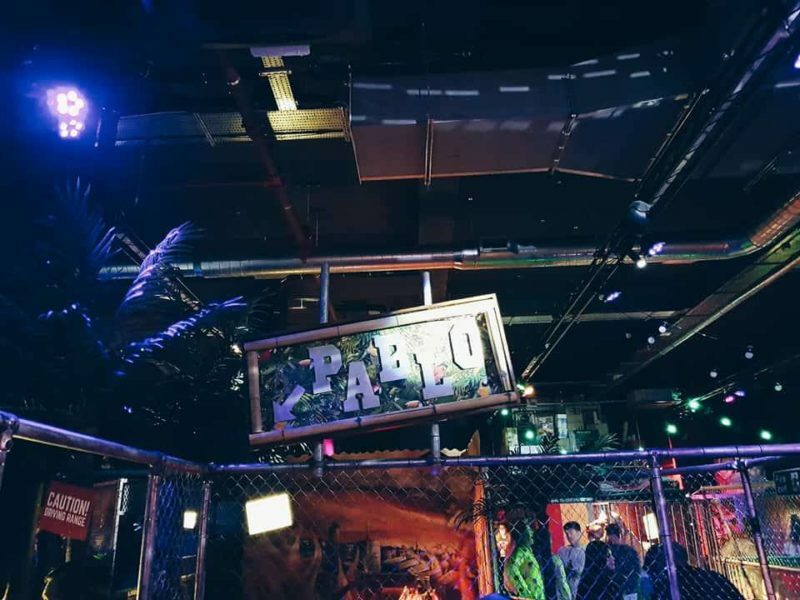 Have you been to Junkyard Golf Club Oxford yet? Which course or cocktail do you fancy the most?